Carolyn Curtis, member of the International Coaching Federation (ICF), Founder of Coach4Life has life coached hundreds of groups and individuals over the last 15 years and is passionate about motivating and inspiring others to create the life they want! Her work has been featured in the Irish Times and in the Irish Examiner and she’s even been quoted in Oprah Magazine. A guest lecturer at University College Cork Carolyn also regularly gives seminars in the health sector and has produced some meditation/stress management CDs which are available online and on her website. For the last several years Carolyn has had Government Sponsorship to coach groups of people who are long-term unemployed and to parents of teenagers in drug and alcohol rehabilitation. Carolyn continues to receive sponsorship based on the excellent results from her courses. Having recognized a need in the market for highly skilled life coaches, Carolyn developed the Coach4Life Training Diploma programme to train exceptional coaches – coaches who have a myriad of skills e.g. 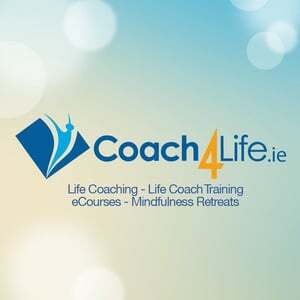 stress management, presentation skills, meditation skills, deep listening skills and trained in self-development skills based on the work of Louise Hay.This training course is taking place in Cork, Lanzarote and Online. 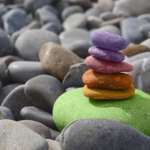 You can enjoy one to one private life coach training also. Carolyn also hosts regular Wellness and Creative Retreat Holidays in Lanzarote focusing on Meditation, Minduflness, QiGong and Art.